Improve the customer experience, grow your sales, and reinforce your brand with impactful indoor signs and graphics by your local Long Island sign company, Genesis Signs & Graphics! Your outdoor signs promise new and potential customers that your business is exactly what they’re looking for, which means your indoor signs had better deliver! Well-placed, attractive indoor signage provides an added value to your business. Not only will they make it easy for customers or clients to navigate your space unassisted, they can also alert them to potential hazards, provide them with useful information about products or services, and reinforce your brand with impactful, cohesive elements. Let our experts at Genesis Signs & Graphics help you grow your business. 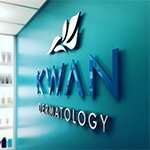 We craft long-lasting and beautiful interior branding packages and signage elements with purpose. Call Genesis Signs & Graphics at (516) 269-8156 for your Free Consultation with an Indoor Signs Expert! Lobby signs, directories, and room identification signs are designed to help visitors navigate your space without additional assistance. This means that you’re not only providing a consistent experience and message to every single visitor, you are also able to utilize your staff in ways that allow them to have a bigger impact instead of simply providing navigational assistance. When placed effectively, branded indoor signs are the best way to make a great first impression on clients and guests. Genesis Signs & Graphics provides on-site evaluations to help you determine sign type, material, and placement to ensure maximum impact for staff, guests, and clients alike. 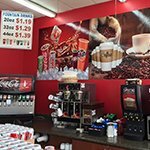 Restaurants and retail stores benefit from product displays, promotional signage, and other signs that make it easy for new customers to locate and purchase their hottest, newest, and highest margin products. Genesis Signs & Graphics creates beautiful custom signs, graphics, displays, and banners to attract your customers to the right areas of your business. 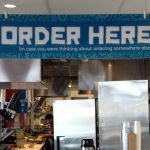 Point of purchase signage, departmental signs, and menu boards all provide the information your customers need to intuitively navigate your business. When your customers can find what they need, quickly and without frustration, it becomes easier for them to buy. When you provide a pleasant and comfortable experience, customers will keep returning, knowing exactly what to expect. 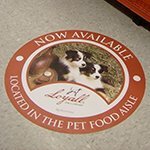 Keep your employees, guests, and clients safe with high-visibility indoor signs and graphics! These indoor signs can be made from metal, wood, vinyl, or other material, allowing you to emphasize important safety procedures and concerns, or to motivate employees and improve productivity. Genesis Signs & Graphics can help you create a safe work environment for your staff. We craft high-quality safety signs, ADA signs, and injury prevention signs that keep your facility compliant with ADA regulations. 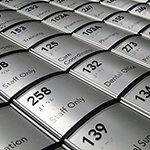 We also fabricate helpful wayfinding and directional signage to make it easier to navigate your warehouse or plant. At Genesis Signs & Graphics, we pride ourselves in being the best indoor signs provider in the area. 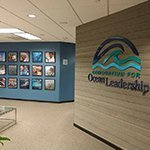 We’ve accomplished this by crafting high-quality indoor signs that cohesive with our client’s other marketing collaterals. Whether you’re looking for fun and exciting indoor signs or something more traditional, we have the solutions that can’t be beaten. As a leading sign company, we ensure that your commercial signage is not only cohesive with your branding, but also with all other signage elements, including any outdoor signs, vehicle wraps, and vinyl graphics you may use for business promotion. 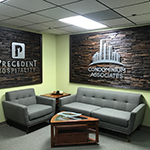 Genesis Signs & Graphics has proven record of designing and fabricating attractive indoor signs that help increase visibility and get your brand recognized, regardless of your business niche or size. Let the experts at Genesis Signs & Graphics help you find the right signs to fit your business, brand, goals, budget, and timeframe. Need outdoor signs and graphics to match? We can deliver every sign your business needs for a cohesive, branded look inside and out! 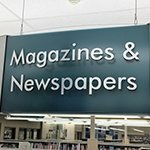 Getting the interior signs you have always wanted is easier and closer than you think! As a local sign company, we’re right here in *city*. All of our sign projects begin with a quick and thorough consultation where we get to know your business better. If you need a site survey conducted, we can do that too. Our very talented sign designers will create a design proof that incorporates your brand guidelines and submit it to you for approval. Once you’ve had the chance to review and edit as needed, our highly-skilled fabricators will utilize our state-of-the-art equipment and premium-quality materials to manufacture your custom signs. Depending on the complexity and physical size of your project, our professional installation team is ready to quickly and efficiently install your project. Genesis Signs & Graphics creates stunning interior signs and graphics for businesses of all types and sizes. From conceptualizing entire custom signage packages to delivering individual sign and graphic elements, we manage every aspect of your indoor sign and graphics project. For a Long Island signage partner that understands how to keep your customers coming back for more, look no further than Genesis Signs & Graphics. Call Genesis Signs & Graphics at (516) 269-8156 for your Free Consultation with an Indoor Signs Specialist!